Blend with history and culture, and immersed in spirituality, Madhya Pradesh is premises to a number of exceptional pilgrimage centers, holy to not just Hindus, but Jains and Buddhists as well. Begin a spiritual journey with this list of remarkable religious sites in the sacred heart of India. The Mahakaleshwar (Shiva Temple) built by Marathas in 18 centaury is among the 12 Jyotirlingas in India. Early morning Bhasm Aarti (life time experience) is main attraction. It starts at 04:00 am every day. Permits are needed to get the permission in advance. 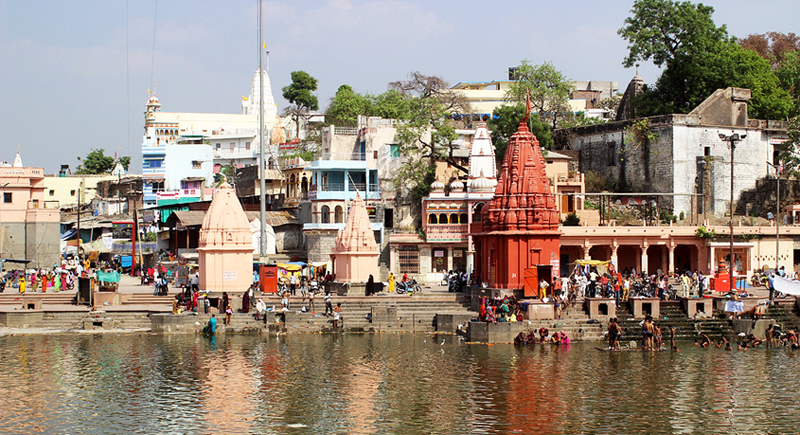 Ujjain is situated on the bank of river Shipra where Khumbh Mela (Simhastha) is held once in every 12 years. The other temples in the town are Bade ganesh ji ka mandir, Harsidhi temple, Chintamani Ganesh temple. Other places to see are Pir Mastyendranath, Bhartrihari Caves, Durga das ki chattri, Kal Bairav, Gad Kalika, Vikram Kirti Mandir,Gopal Mandir, Nav grah Mandir (triveni) & Vedha shala (Observatory). 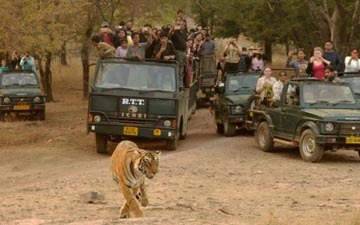 Location 50 kms from Indore. This is second Jyotirlinga of Shiva in Madhay Pradesh, situated on the confluence of Narmada & Cauvery river. 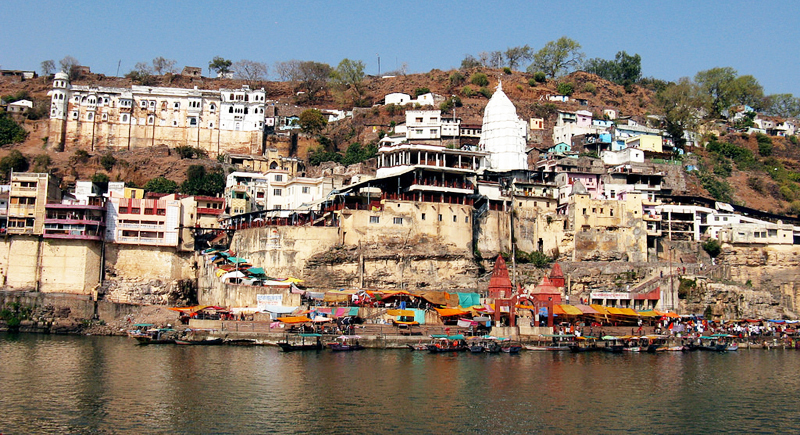 The island resembles to the shape of Hindu symbol OM, hence derived its name as Omkareshwar. The main ceremony is offering water to the Jyotirlinga. 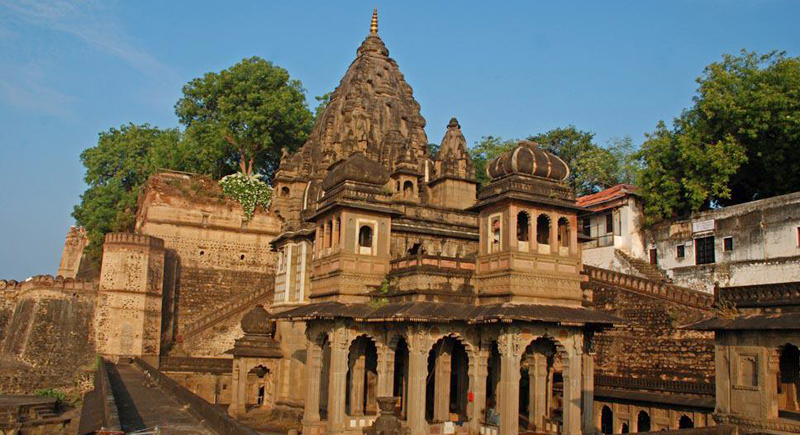 The Siddhanath temple is great example of 10 century architecture. Other places of interest are 24 Avatars Jain temples & Satmatrika temples. Location 80 kms from Indore. Ancient town related to Ramanyana & Mahabharata. Rani (Queen) Ahilyabai of Indore built several temples & fort complex which is still alive. 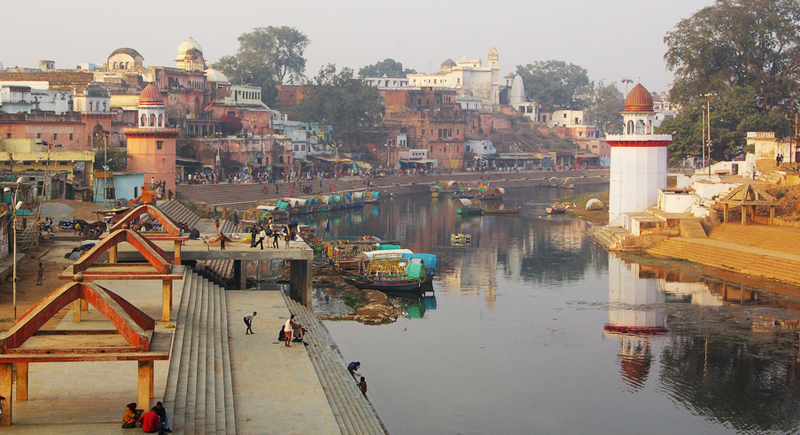 The main attraction is 1.5 kms long bathing ghats & pretty temples with hanging balconies & well decorated doorways. Boat ride is interesting in this area. Main temples are Kaleshwara, Vithaleshwara, Rajarajeshwara & Ahilyeshwar. Location 90 kms from Indore. You can walk through town to enjoy village life. Treasures from royal family can be seen in the museum inside the Fort. The place where two hill ranges Satpura & Vindhya meet & two rivers Narmada & Sone starts from here. 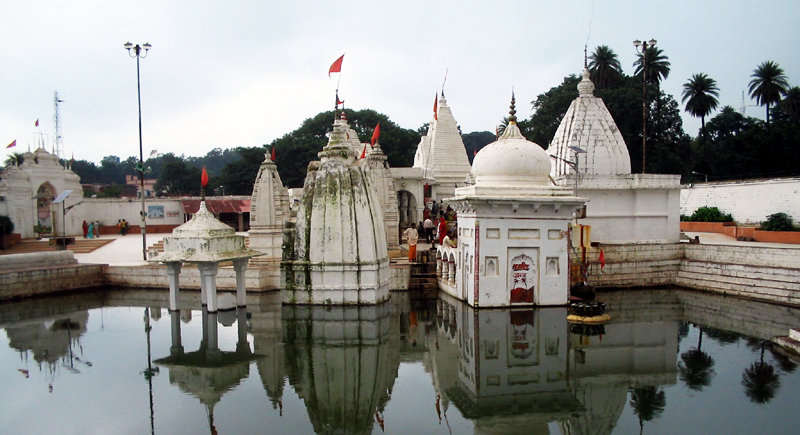 The Narmada Udgam and Sonmuda Temple are the holiest shrines. It is said only the sight of river Narmada is enough to bring eternal bliss. Goddess Narmada is being worshipped by many devotees throughout the year. Important waterfalls which add beauty to the place are the Dhuni Pani hot spring, Brighu Kamandal, Dudh Dhara and kapildhara. Lovely garden Mai ki bagiya enhances the beauty of Amarkantak. Situated in Vindhayas ranges also called “ the hill of many wonders”. It is said that Lord Rama & sita, have spent 11 of their 14 years exile. Sage Atri & Sati Anusuya meditated and the holy trinity of Hindu pantheon brahma, Vishnu & Maheshwara incarnated here. Important places to visit are Hanuman Dhara, Ramghat, Kadamgiri, Janki kund, Sati anusuya, Sphatik shila & Bharat Koop. The Gupt (hidden) Godavari caves are interesting. 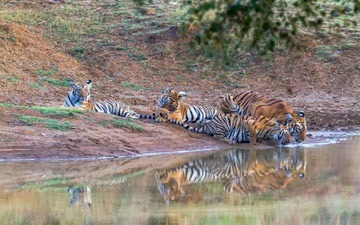 Location 225 kms from Jabalpur. 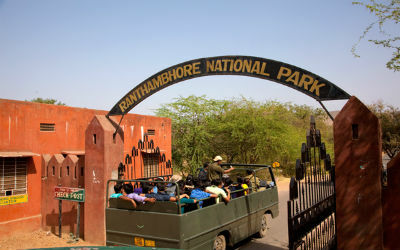 Premium Jeeps, Full day & Half day safari system in Ranthambhore!